PLAINVILLE - The Plainville Historic Center will highlight the contributions of local black men and women to the town’s history Feb. 16. The free program, which is being held in recognition of both Black History Month and the town’s 150th anniversary, will be held at 2 p.m. at the Plainville Historic Center at 29 Pierce St.
Presenter Gail Johnson Williams, the Plainville Historic Center’s expert on local African American history, will discuss the individuals, groups and families who have made an impact in Plainville, such as the Johnson and Mason families. 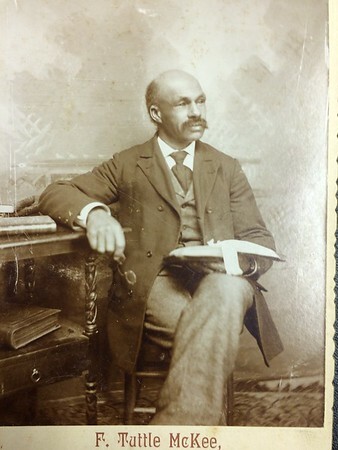 Clifton Johnson, Gail Johnson Williams’ grandfather, came to Plainville from Virginia in 1904. His mother was a slave and Johnson Williams has a photo of the plantation house where she worked. Clifton Johnson worked on the railroads, using nitroglycerin to blast tunnels. He worked on the Terryville tunnel before counting his blessings for not being injured on the job and leaving to settle in Plainville. He got a job in Simsbury on a farm that is now Penwood State Park. Douglas Mason, who also was originally from Virginia, came to Plainville in 1874. He was a blacksmith and went to work at a carriage shop, making carriages and carriage wheels. Eventually, he had his own business, making him the first African American business owner in town. Johnson Williams encouraged people to come to the program to learn about this seldom discussed part of town history. She stated that they had to be pretty ingenious - even though there were jobs, they weren’t often being hired. But, they still found ways to make a living. This program will highlight their accomplishments. The Plainville Historic Center can be reached by calling 860-744-6577 or emailing plvhistorical@gmail.com. For updates on other programs about local history, search for the Plainville Historic Center on Facebook. Posted in The Bristol Press, Plainville on Sunday, 10 February 2019 20:19. Updated: Sunday, 10 February 2019 20:22.